As published in the country’s Official Newspaper “La Gaceta” on the 27th of December 2011, a new law has been approved, which will come in to force on the 1st of April 2012, to levy an annual duty on all Public Limited “Sociedades Anonimas” (S.A.) and Limited Companies “Sociedades Limitadas” (S.R.L.). In short, the law implicates a levy or tax on all companies set up in Costa Rica and registered to date in the Companies Registry Office as well as all future new companies. The amount of tax will be equivalent to either 50% of the monthly base salary ($350) for active tax-paying companies or 25% of the monthly base salary ($175) for dormant or inactive companies. If your company is currently registered as active and tax-paying, but has NOT had any financial activity which would require tax declaration; we would recommend that you de-register said company in order to pay the lesser duty: that is, only 25% of the monthly base salary. The new annual tax is compulsory and its payment will be required of all active and inactive companies; in the event that you have invested in Costa Rica through these types of companies, you should consider that starting from April this year you will need to pay the aforementioned new annual duty. The legal representatives or proxies are accountable and fully responsible for the payment of the new duty and with respect to non-payment the law stipulates sanctions and fines which could put your property at risk. Should you decide not to pay the tax, interest and overdue charges at 1% per month from the date of non-payment will be added to the original duty. With regard to overdue companies, the Registry Office will not issue official company paperwork or “personería” certificates nor will they be able to register any new legal documents or bid for any State or Public contracts. The law also states that non-payment of the tax for 3 consecutive periods will cause the overdue company to be dissolved. 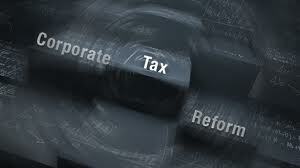 Starting from the 1st of April there will be a 3 month period in which companies can be dissolved and by this manner, avoid payment of the new tax, as well as a 24 month period in which the companies’ legal representatives or proxies can resign from their positions and avoid any eventual responsibility. There will also be a 6 month window in which property can be transferred without having to pay the usual transfer duties. Hot Deal on Estate-Like Hacienda! is now at rock-bottom price. Secluded but Well-Situated: Casa Jaguar is located in a gated community with very affordable community HOA fees. The location is very private, yet not far from the beach, supermarket, restaurants, and more. Right next door is a farm which is used as a “refugio,” a natural area with wildlife and trails to hike and observe animals and the native tropical dry forest vegetation. Outdoor Living: Enjoy open spaces and breathtaking sunsets all year round in a paradise where the temperatures never drop too low. Bedrooms: All three bedrooms are very spacious, each with their own enchanting view of the Costa Rican countryside. Kitchen: The large, well-equipped kitchen and pantry are a chef’s delight. Olympic Pool: The Olympic-sized infinity pool overlooks the perfect gardens of fruit trees and a lush grassy area.